Polk State College is committed to creating and maintaining a campus environment where safety, health, and well-being are priorities for all. Sexual misconduct includes a variety of acts that are perpetrated against another individual without his or her consent, or when an individual is unable to freely give consent. Accordingly, Polk State will not tolerate any form of sexual misconduct, including sexual assault, sexual harassment, sexual exploitation, dating violence, domestic violence, and stalking. All forms of sexual misconduct are serious offenses with serious consequences. In addition to violating the Polk State College Student Code of Conduct, some forms of sexual misconduct are both criminal and civil offenses that are punishable by law. Students found responsible for sexual misconduct may face disciplinary actions up to and including expulsion. In Florida, a person is killed by a family member every 36 hours. More than 124,000 incidents of domestic violence are reported in Florida each year, involving victims young and old, male and female. You have rights. Knowing your legal rights and options is the first step toward ending abuse. Under the provisions of Section 741.28 of the Florida Statutes, domestic violence means any assault, aggravated assault, battery, aggravated battery, sexual assault, sexual battery, stalking, aggravated stalking, kidnapping, false imprisonment, or any criminal offense resulting in physical injury or death of one family or household member by another family or household member. A family or household members are spouses, former spouses, persons related by blood or marriage, persons who are presently residing together as if a family or who have resided together in the past as if a family, and persons who are parents of a child in common regardless of whether they have been married. Sexual Abuse or Battery – Any unwanted touching or forcing of someone to engage in a sexual act against his or her will. What should I do if I am a victim of one of these crimes? If a person is the victim of domestic violence, dating violence, sexual violence, or stalking at Polk State College, the first priority is to go to a place of safety, call 911 or the appropriate law enforcement agency based on the location of the assault, and then call Polk State College Security. 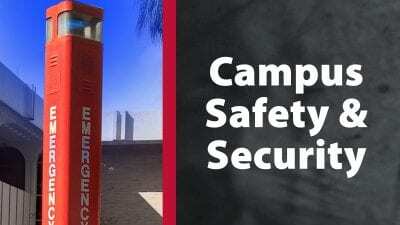 Polk State’s security officers will assist the victim in notifying the local law enforcement agency. Time is a critical factor for evidence collection and preservation, which is often necessary to the proof of domestic violence, dating violence, sexual assault, or stalking, or in obtaining a protection order. What are the public inspection exemptions? Under the provisions of Section 119.071(2)(j) of the Florida Statutes, any information which reveals the home or employment telephone number, home or employment address, or personal assets of a person who has been the victim of sexual battery, aggravated child abuse, aggravated stalking, harassment, aggravated battery, or domestic violence is exempt from public inspection and examination. You must make a written request and provide official verification, such as a law enforcement report, to the custodian of the records that an applicable crime has occurred. Such information shall remain exempt for 5 years, after which it will become available to the public. Polk State College has a formal Discipline and Due Process Policy that is coordinated through the Dean of Student Services. This policy is available via the Polk State College website, DBOT Rule 4.01 and Procedures 5027 and 5028. Reports of crimes that occur on campus are forwarded to the Dean of Student Services responsible for the campus on which the incident occurred to investigate and determine what disciplinary actions are needed. As part of the Discipline and Due Process policy victims may be given options or assistance in changing academic, living, transportation and working situations upon request and if accommodations are reasonably available.